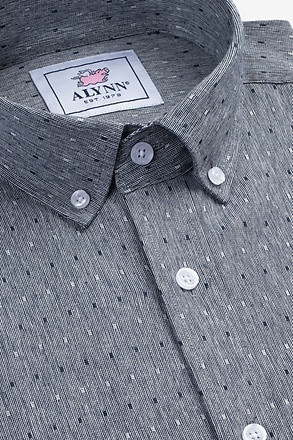 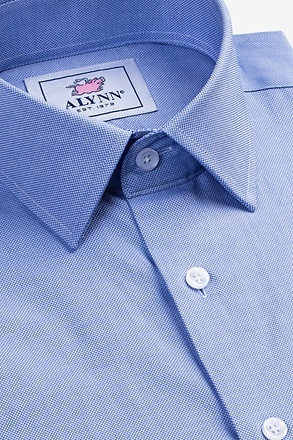 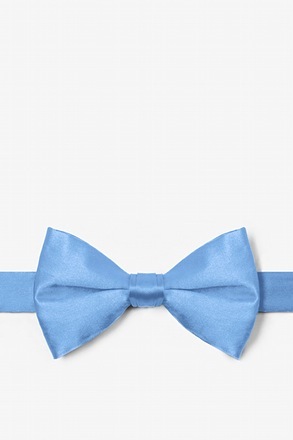 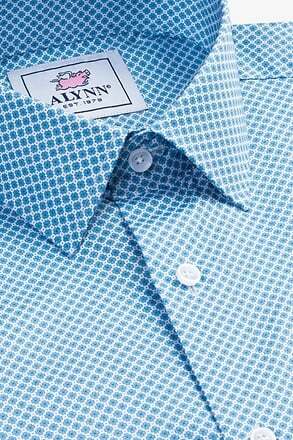 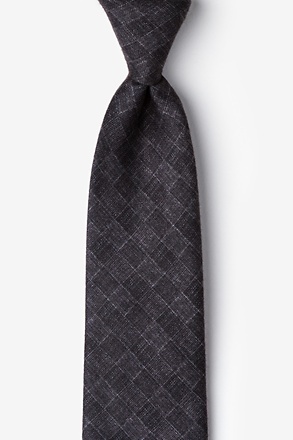 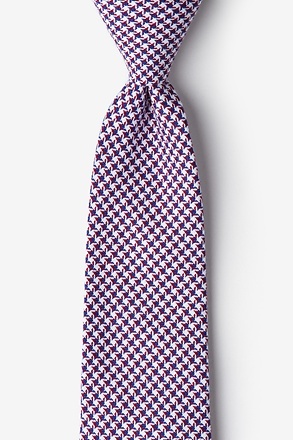 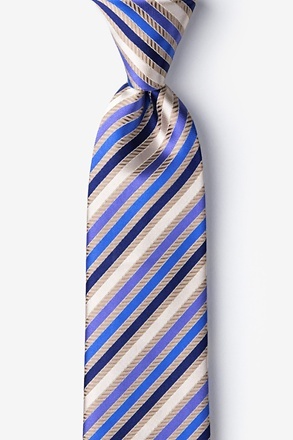 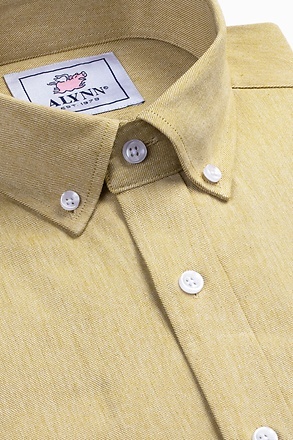 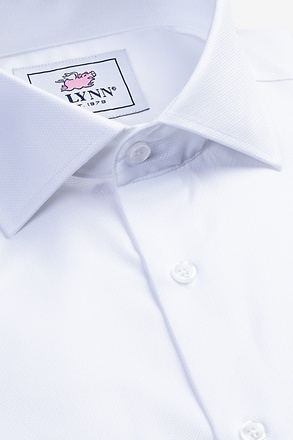 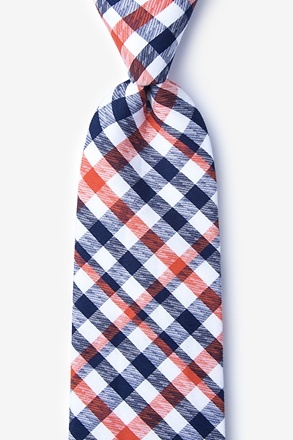 Our Sadler extra long tie is a fresh, spring-appropriate variation on your classic houndstooth print. 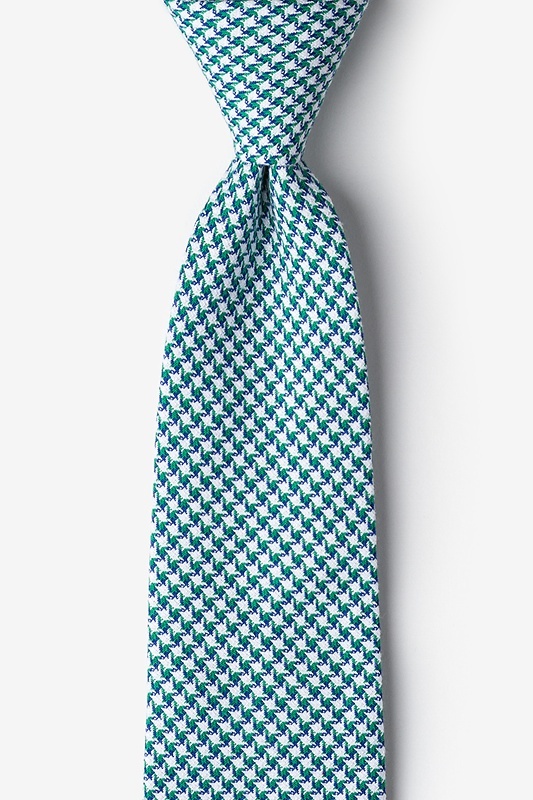 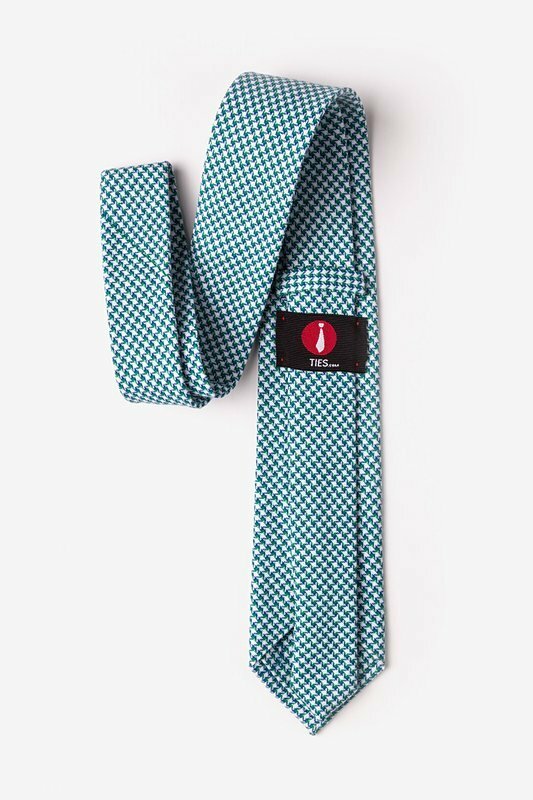 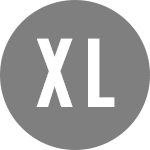 With opposing green and blue colors against a solid white backg... read more Our Sadler extra long tie is a fresh, spring-appropriate variation on your classic houndstooth print. 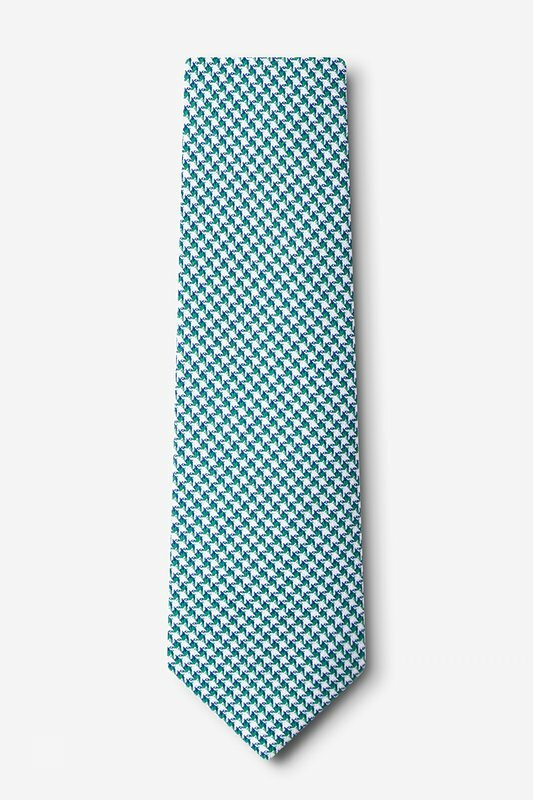 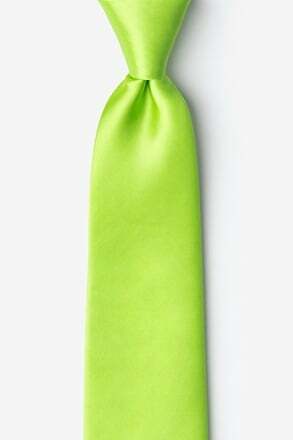 With opposing green and blue colors against a solid white background, this accessory adds the right amount of flair to your 9-to-5 ensemble.